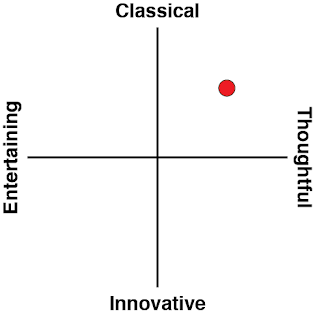 There isn’t that much that I can say about Bayonetta 2 and its predecessor that I haven’t already. 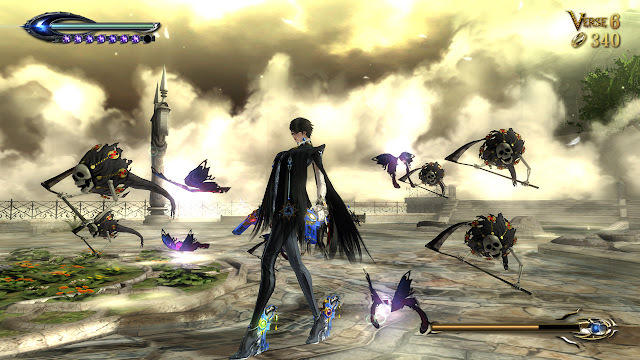 I reviewed Bayonetta 2 when it was released on the Wii U, and this is almost a straight port of that game. The original comes as a bonus on the Nintendo Switch (or you can buy the two separately digitally). So, rather than re-tread all my existing words on the game, I’ll link you to my original review (read it here), and say that nothing has really changed about either of them in this port. They are masterful examples of clinically accurate action games. 1) The religious imagery. It’s no secret that the Bayonetta games are broad shots and the righteousness of faith – particularly in the first game. In that one, the game’s enemies are almost exclusively beings ("angels") from heaven, and while they’re generally decked out in the glistening armour and clothing of pure white that we see in conventional imagery of heavenly beings, in Bayonetta these things have been twisted so that they take on a sinister tone. Bayonetta herself, meanwhile, is a witch, and a being with close links to the underworld. Rather that being sinister, however, Bayonetta is sarcastic, sharp, intelligent and, ultimately, moral. She’s the one that has the capacity to form friendships, and maternal instinct. People generally irritate her, but ultimately she helps, rescues, or works with those around her. 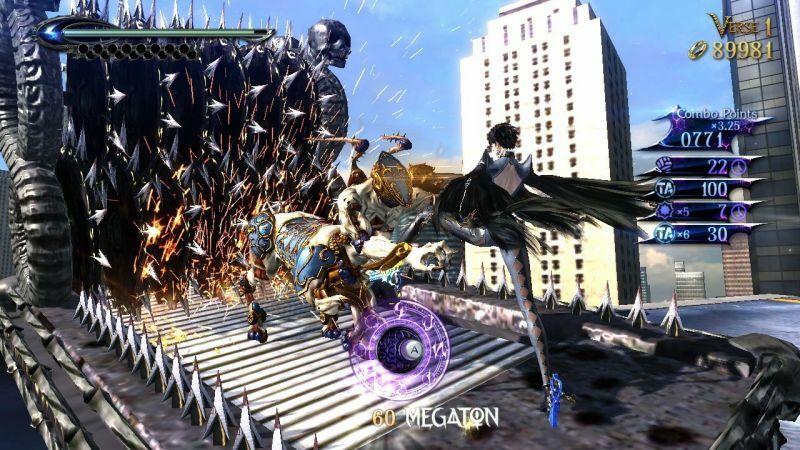 Things become somewhat more complex in the second game, but the core theme remains the same; Bayonetta, and the witches, are the “good,” and the righteousness of the heavens is the corrupting force. But what’s especially impressive about all this is that for an action game, Bayonetta tells its story with verve and nuance. Where so many other games in the genre – God of War, or the recent Castlevania titles, for example – don’t really dig beyond the surface, both Bayonetta titles are meticulously researched, show great levels of control over the narrative, and to a really great job of simulating thought. 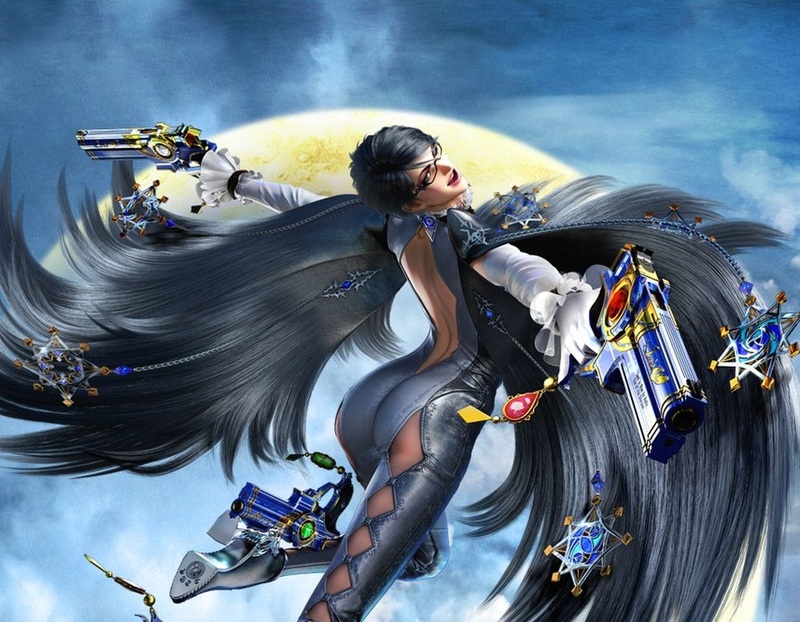 2) Bayonetta as a feminist character. There’s been a lot written and debated about this. A lot. Bayonetta upsets as many people with its highly sexualised imagery as others celebrate it as one of the few games out there where the woman is firmly in control of her sexuality. Part of this is due to the incredible delivery of Bayonetta’s likes through voice actor, Hellena Taylor. The English accent is perfect for Bayonetta’s sharp, cutting sense of humour, and controlling, dominant flirtatious tone. But there’s more to it than that. Bayonetta’s greatest power comes from her hair, which is long, feminine, and is actually her clothing. Her most powerful attacks make use of her hair, which unravels off her body, leaving her naked, and pounds the enemy into oblivion. It’s the developer turning traditional images of femininity into weaponry. Plenty of the cut scenes involve lingering crotch and backside shots, but again, in the context of an incredibly powerful woman who is fully aware and comfortable with her femininity, what would otherwise be chalked up as “exploitation” can’t possibly be; Bayonetta is just too in control of herself and everything around her to be exploited. She’s the femme fatale and, when spin in the context of a feminist tale, that isn’t treated as a character flaw. So, yes, I tend to firmly stand on the side of people that see Bayonetta as a wonderful example of how to do the right thing by female character design. 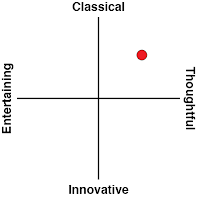 3) The rhythmical, dance-like action. Combat in Bayonetta is bombastic and explosive, but it’s the subtleties in it that make it really stand apart from its peers. Transitions between attacks or combos are cleaner, more graceful, and like a true dancer, Bayonetta makes great use of all the “floor” available to her. Her dodge move sees her dive across the entirety of the screen, allowing her to come up and counter attack having drawn the audience’s attention across the entire screen. That in turn fills the entire screen with the most spectacular energy and activity. Because Bayonetta carries guns in her shoes and well as her hands, she works all four appendages, as a dancer does, and the co-ordination this allows through her moveset is, again, very smooth and dance like. As someone who likes his dancing, this approach to movement is so much more appealing to me than what we see in most games, where movement transitions generally involve pauses, there’s a heavier emphasis on blocking, and so on. You’ll still get a great game out of them, but Bayonetta’s action is smooth, dynamic, and fast. So very fast. When the game’s background music is so dynamic and rhythmical itself, having a movement and combat system that genuinely works in concert with it rather than over the top of it is a subtle improvement on most action games, but a substantial one. There’s plenty more that I love about Bayonetta and its sequel, so again I’ll point you to my review of Bayonetta 2 for more information. I did want to address the game on the Switch, because unfortunately, the game doesn’t play as well as a consequence of the hardware. For example, locking on to enemy targets requires that you press and hold the smaller shoulder trigger. With the larger one then being used for dodging. I found it impossible to work those two buttons comfortably together, so resigned myself to playing without locking on. With Bayonetta this is less of an issue because the action tends to come from all angles, but playing on higher difficulty is less frustrating than it should be. It’s obviously not an issue if you’re playing the game on the TV with a Pro controller, but I use my Switch as a portable device, and this makes Bayonetta harder to play on the train that I would otherwise have liked. For some reason the game also has touch screen controls. Frankly, this was a waste of development resources, because they’re not fun to use at all. I honestly have no idea what they’re doing there, except perhaps out of some desire to shove Switch-exclusive features in there. But the main thing is the developers haven’t messed with the content. Because almost no one bought the Wii U, few people had the chance to play Bayonetta 2. 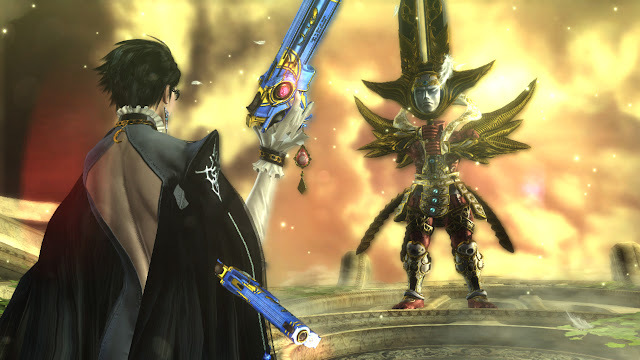 With Bayonetta 3 on the horizon, giving people a chance to catch up is a really good idea on Nintendo’s part. That’s why these ports have been released, and they’re that good that, even if you were one of the few with a Wii U, you may as well buy them again.